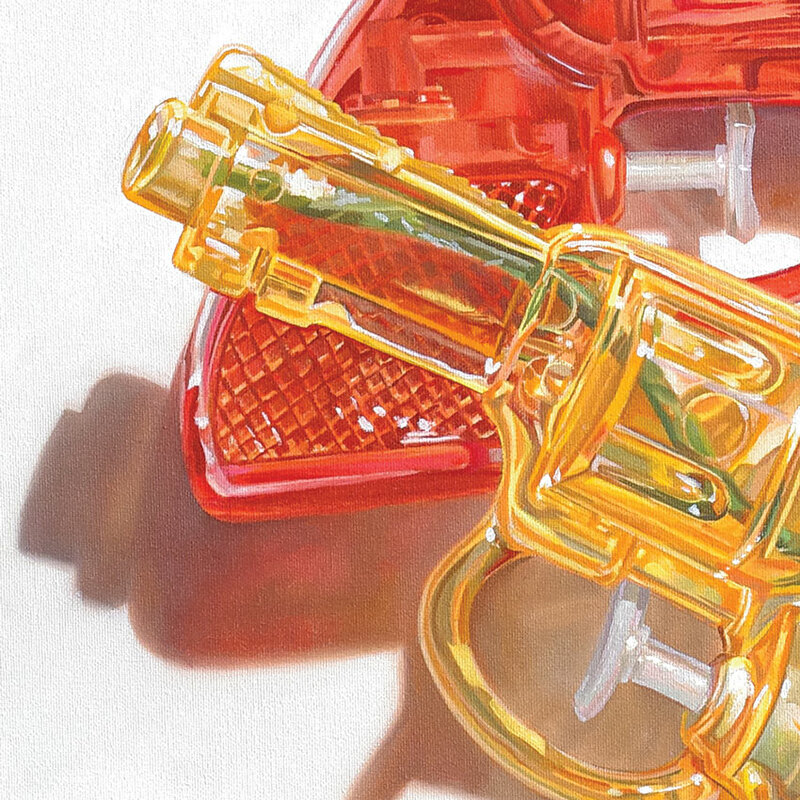 We welcome in California-based oil painter Chad Pierce who helps us ring in the summer with his hyper-realistic take on a summertime favorite with Red & Yellow. 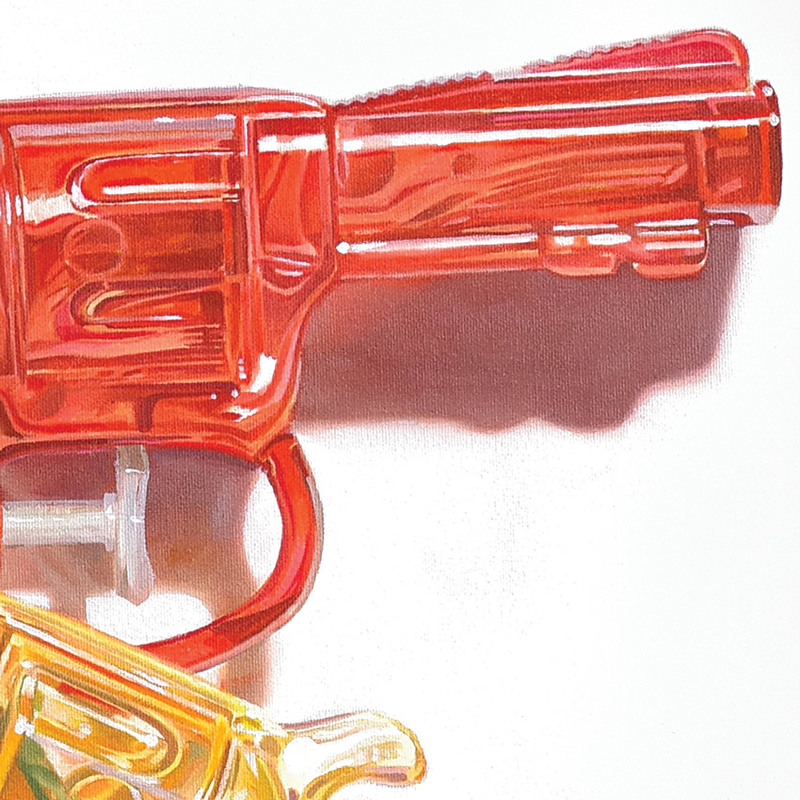 Slow down and read on and as Pierce gives us the low down on these masterfully layered oil paintings, pulled from his ongoing water gun series. . . This RUN comes signed, numbered and with a Certificate of Authenticity from Chad Pierce and 1xRUN. ABOUT THE ARTIST: I clutch to the traditional focus of oil painting and realism. My style of painting has been influenced by early master’s works as well as contemporary artists, and realist painters. My focus on realism reflects the use of photography and painting to represent everyday objects. 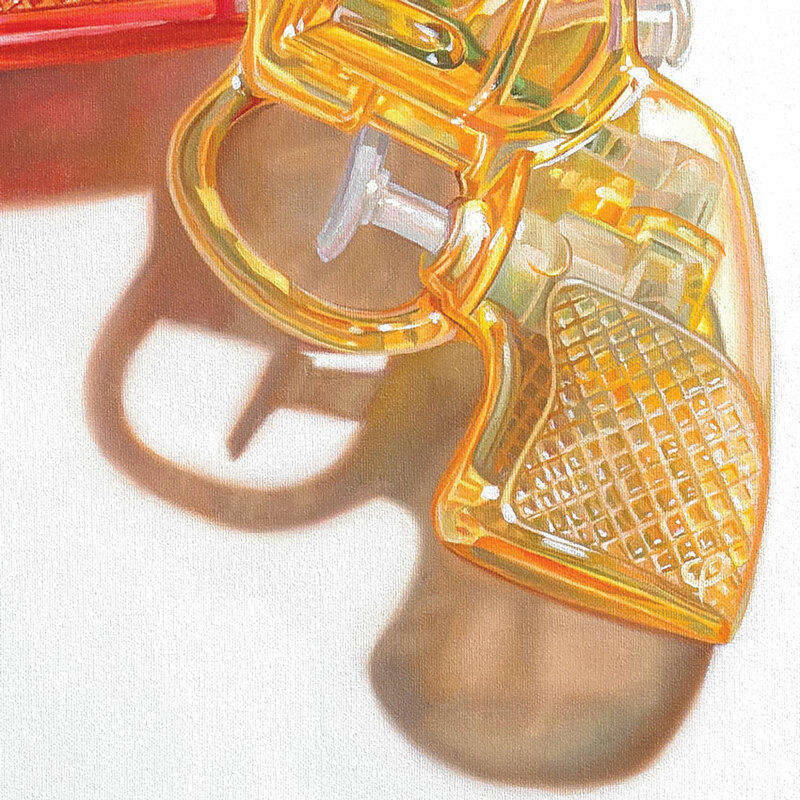 Through this process of meticulously painting these objects the meaning develops. I rarely have a concept when I start. It's usually an ah hah moment that reveals the connection to a current or past experience or I could be an emotion or simplyreflects and represents beauty. It is interesting how the meaning develops through this process. I've always been a big fan of Sci-Fi and growing up I remember playing with action figures and toys. 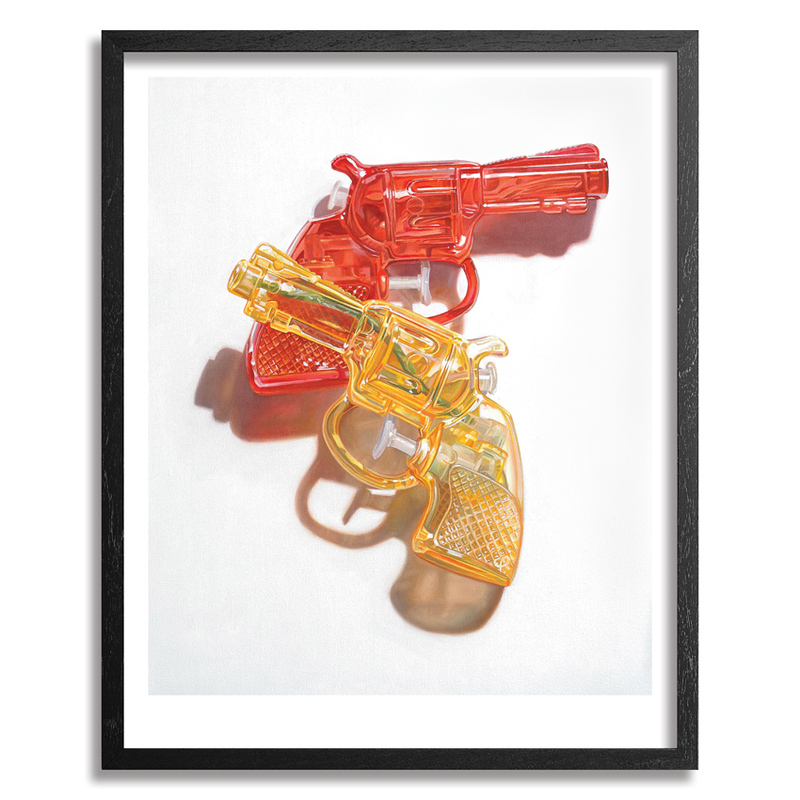 The characters and toys really captured my imagination and that's why I use these as a source of inspiration for my current series of water gun paintings. See more from Chad Pierce on 1xRUN. Find more by Chad Pierce here.